A flock of bewildered sheep at Skye of Curr, Dulnain Bridge as they wonder where their green grass has gone. Pic by Sandy McCook. Parts of the north, particularly on high ground, remained blanketed with snow yesterday, making for precarious road conditions in many areas. Blustery snow showers throughout the morning further hampered drivers and led to numerous road traffic accidents. One of the most problematic stretches was the A9 north of Brora where a lorry jack-knifed near Navidale in deep snow, but the road remained passable. A six wheel arctic lorry slipped off the road around Spittal, on the road to Thurso, in similar snowy conditions. Again the A9 remained open. Even the police had problems as one car came off the road near Lybster while responding to an incident just before 8am. No other vehicles were involved and no one was injured. Problems further south were caused when a van and lorry collided on the new stretch of dual carriageway south of Aviemore. The south-bound carriage was partially blocked and BEAR Scotland was asked to attend the incident to clear the road of debris from the crash. Traffic Scotland reported another minor accident on the A95 near Dulnain Bridge, blocking the road in both directions for a period. It warned drivers to “expect some icy patches to form on untreated roads, pavements and cycle paths”. 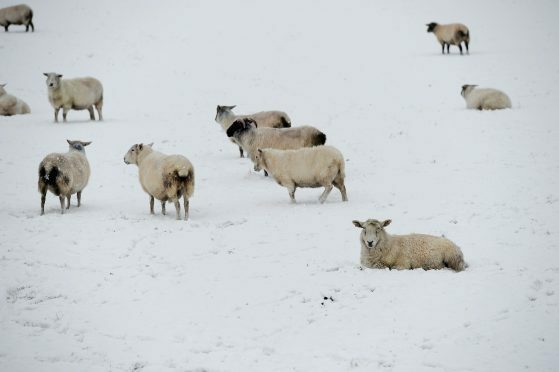 A Met Office spokesman warned there are more chilly conditions on the way to the Highlands and Moray, with conditions moving ”from wet-slush-snow to more frosty-hard-dry conditions”. “The risk of prolonged snow is gone but there will be continued snow showers over the weekend, there will also be slippery areas.” he said. The summit of Britain’s sixth-highest peak was one of the coldest parts of Britain during the day yesterday, with temperatures dropping to -5C, colder than the -4C in the Russian capital.